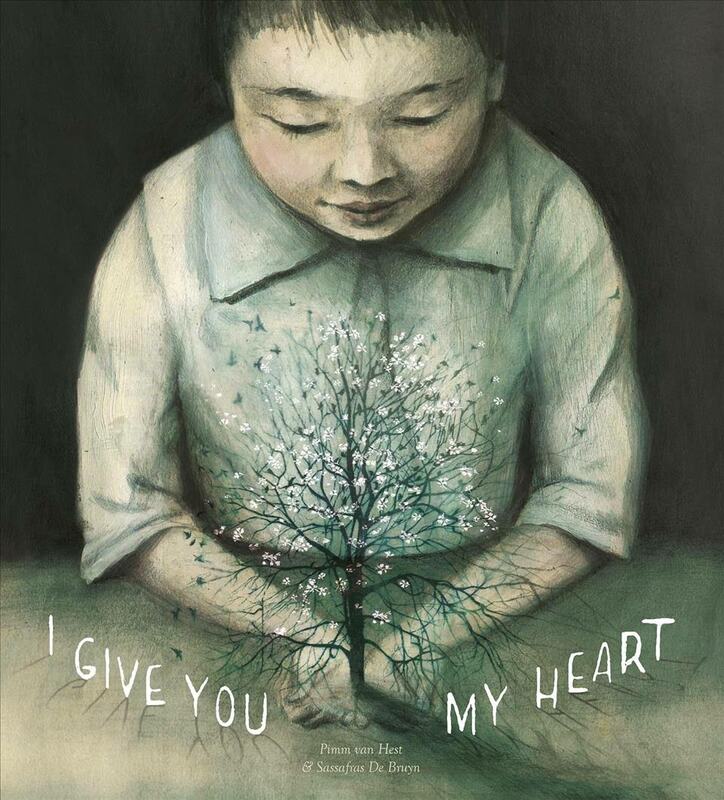 I Give You My Heart by Pimm van Hest is a beautifully told story that will touch the heart of everyone who reads it. Yuto is given an unusual wooden box by an old man in a store. The man tells him, “Everything you need is in this box.” But no matter how hard Yuto tries, he can’t open the wooden box. On the eve of his seventh birthday, the box opens to reveal a seed, which Yuto plants. Eventually the seed becomes a tree and is so big he plants it in a special place and, throughout his long life, Yuto and the tree share a special bond. In many ways, this story reminds me of The Giving Tree by Shel Silverstein, which is a book I shared with all my children. 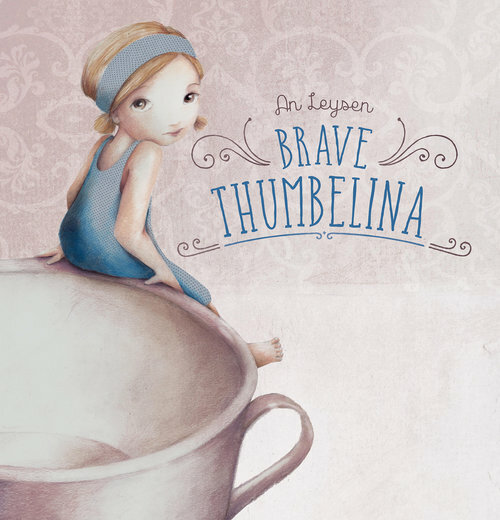 This poetic fairy tale is enhanced by the stunning artwork of Sassafras De Bryun and the intricate cutouts throughout the book. 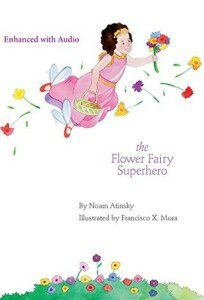 While I Give You My Heart is a children’s book, the older you are the more meaningful it becomes. I think it would make the perfect coffee table book. Join Justin and Adam as they search not only for the second Stone of Power, but also for the Scroll of the Ancients, a mysterious document that holds important clues to the Seven Stones of Power. As their adventure unfolds, they learn many things and face dangers that make even their perils in Egypt look tame. And how annoying for them that their tag-along companion, Kim, seems to have such good ideas when they are stumped. Book extras include some historical background on King Arthur, the Dark Ages, warfare and weaponry during Arthur’s time, and details on Excalibur. A fascinating peek into the life and times of the real King Arthur, perfect for young time travelers and budding archaeologists. 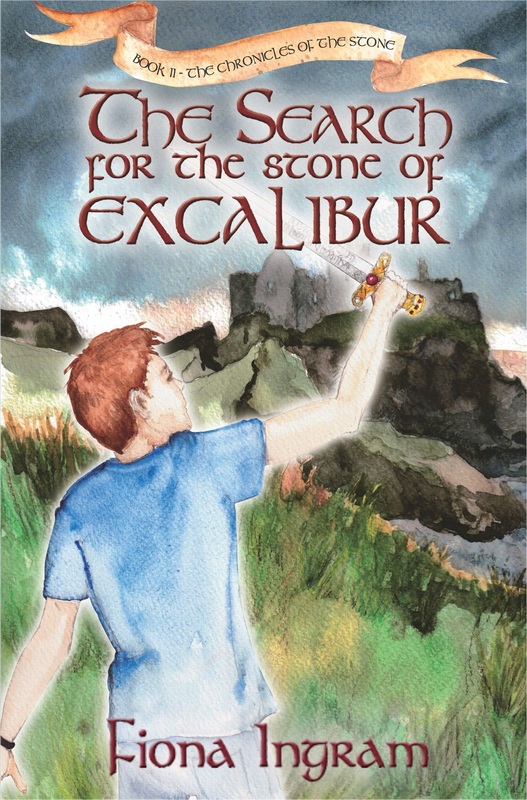 The Search for the Stone of Excalibur is available at Amazon. Find out the latest on the book at Facebook. I’ve always been fascinated with the figure of King Arthur, so much so that when the idea popped into my head to use Excalibur, and thus King Arthur, in Book 2: The Search for the Stone of Excalibur, I couldn’t have been more pleased. Before I began my serious research, I had always thought of King Arthur as a kind of hazy figure who was mostly legend. To my surprise, I found enough information to pinpoint Arthur as a historical figure, a Dark Ages king, a Briton who lived and fought around AD 500. Arthur’s biggest achievement in history was turning the tide of the Anglo-Saxon advance at the Battle of Badon in AD 516, keeping Britain safe for the next fifty years. Starting around AD 700, references to Arthur and his brave exploits on the battlefield began to emerge and have continued to the present day. Even in his own time, Arthur’s name became synonymous with heroic deeds, bravery, and victory on the field of battle. The half-mythical, half-historic nature of the original Arthurian legends developed with the retelling of the tales. With Arthur’s name becoming increasingly more mythologised, it was perhaps inevitable that with the advent of the first ‘fiction’ writing (around the twelfth century) that Arthur would appear in an even more heroic light than before. Following Arthur’s death at the Battle of Camlann (AD 535), his fame spread all over Europe. The Arthurian stories journeyed with merchants and other travelers from country to country, from city to city, from monastery to monastery, and from one royal court to another. The idea of chivalry emerged. This new code emphasized that one should live and conduct oneself with honor, courtesy, and bravery. Why, centuries later, is the figure of Arthur still so important? Arthur is important to us because he appears as the ideal of kingship during both peace and war. He stands for all that is true and good in a leader. He became a conquering hero, a champion of peace and justice, a king of kings. This is the kind of hero that will appeal to young readers, and perhaps inspire them to emulate King Arthur, to be someone who ‘does the right thing,’ and stands head and shoulders above the rest just because he knows what makes a hero. Being a hero can encompass many things; it’s about standing up for what you believe in; defending someone who is weaker or who may be being bullied at school; making sure you treat people and animals with respect, love, compassion, and that you show the qualities of a young knight of the Round Table. 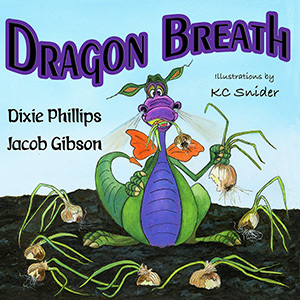 A young reader can easily become a hero to his family, friends, and community by following the ideals that make a good, caring and responsible person. Fiona Ingram was born and educated in South Africa, and has worked as a full-time journalist and editor. Her interest in ancient history, mystery, and legends, and her enjoyment of travel has resulted in the multi award winning The Secret of the Sacred Scarab, the first in her exciting children’s adventure series—Chronicles of the Stone. 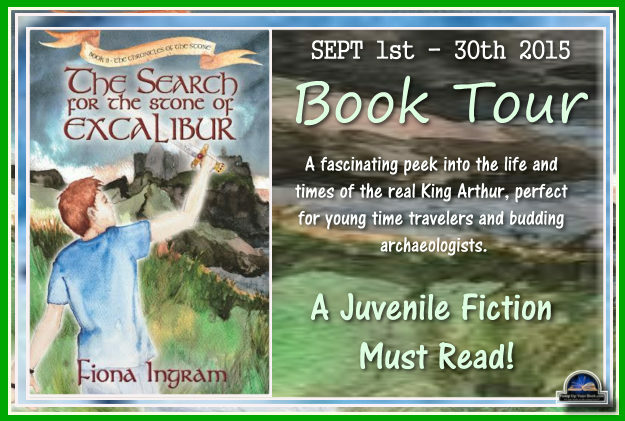 Fiona has just published the second book entitled The Search for the Stone of Excalibur, a treat for young King Arthur fans. 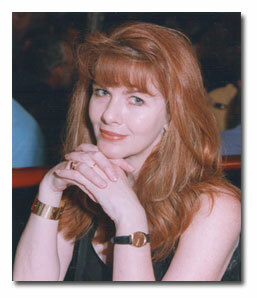 She is busy with Book 3 entitled The Temple of the Crystal Timekeeper. Connect with Fiona on Facebook and Twitter. Find out more about Fiona at Goodreads. 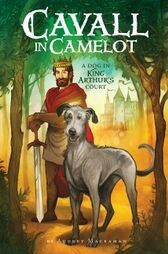 Read my review of The Search for the Stone of Excalibur here. Read my review of the first book in the series, The Secret of the Sacred Scarab here.